I found the beacon but due to the weather the demo was not very convincing. so looking on my SDR screen on my laptop was almost impossible. After a few hours I decided to put the system down again because my laptop was almost boiling. Strange that it even survived. I still wanted to do some measurements on DL0SHF so I decided to set it up the next day at my home QTH for some tests. Outside temperature was still hot, but I had enough opportunities to put parts of my system into the shade. I started with adjusting my antenna using the sun and solar noise, then I turned the dish to the moon and looked for DL0SHF. After a while I found the beacon and signal seemed a bit low with very much QSB. 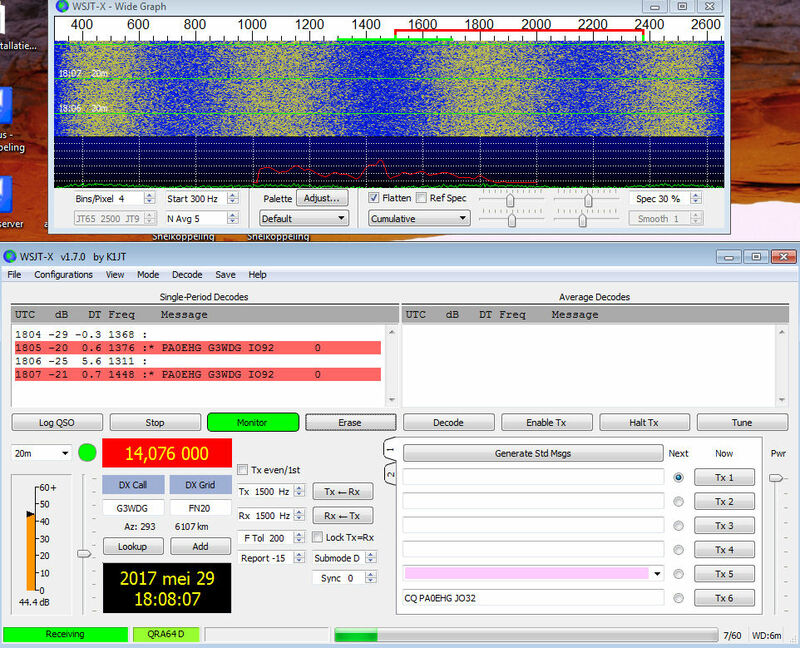 Since my last experiments the digital mode from DL0SHF changed from JT4 to QRB-D so I had to install the new WSJT-X software and first learn to use it befor I could try and decode the Dl0SHF signals. I recorded the received signals and tried to decode the signals the next day, after some fine tuning on time and RX frequency I succeeded in the decode. I made a test with Charlie G3WDG to see if I would be able to copy his CW signal. His CW signal was audible and sometimes I could copy his signal. He did send me some unknown information which he later said it was A TMO report. I was almost convinced I copied a M several times so I told him I copied an M but that it was very weak and difficult. He then confirmed that it was correct. The QRA-D signals from Charlie also decoded after the recording and that worked also very well. 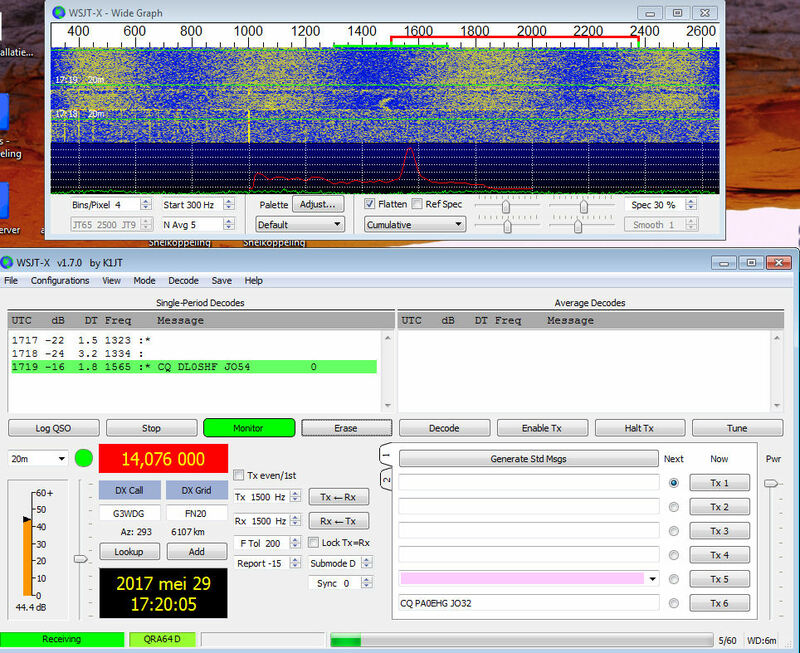 the QRA-D signals without further frequency correction during transmission.